Your classic texture pool deck will provide you with years of trouble free, safe and reliable decking that is easy to clean, maintain and simply enjoy. The obvious choice for your pool surround. 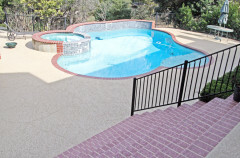 Sundek provides a slip resistant, safe, low-maintenance and durable surface that lasts for years. Our crews will deliver the highest quality crafstmanship and you may even be featured as one of our many award winning projects. Our local service reps cover the entire Austin metro area, from Georgetown to San Marcos and everywhere in between.Call us today for a FREE estimate for your concrete repair and coating needs. From residentail garage floors to industrial warehouse facilities our Epoxy and Polyaspartic coatings will last and look great. With a range of styles and colors each and every Sundek surface is tailored for a custom look and feel. From Classic Texture to realistic limestone, your one of a kind surface awaits you. From stained concrete to decorative textured overlays, Sundek has a range of floor solutions for residential, commericial and Industrial uses. 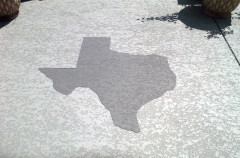 Sundek of Austin has been helping clients with their concrete since 1988. Our commitment to you and your property sets us apart in the industry. By employing the best, factory trained installers and customer representatives our staff is the best in the coatings industry. Each Sundek partner takes great pride in a job well done. Our concrete coating technicians continuously train to improve their techniques and expand their abilities with award-winning support. Serving: Austin, Pflugerville, Marble Falls, Bee Cave, HorseShoe Bay TX, Spicewood TX, Fredericksburg TX, Blanco County TX, Hill Country TX and all surrounding areas. Hurry up to schedule your FREE consultation for your upcoming concrete project. 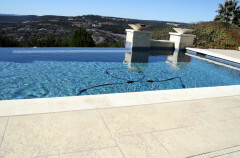 "We just had our pool deck done by Sundek. The entire process from sales to production was handled very professionally. Their communication before and during the project was great. Although they are expensive, you DO get what you pay for. Their product is so superior to what we had on our pool deck prior. You would be hard pressed to find a better product. Geez, they even use this product on the Whitehouse!" "The finish product looks fantisic. My neighbors can't believe the the way my porch and sidewalk looks. The workers were very neat and did a great job cleaning up. I highly recommend Sundek of Austin." As a follow-up to my last blog about "What to Expect During Your Sundek Decorative Concrete Installation," here is a great time lapse video showcasing the transformation of a commercial project. As you can see it is ugly concrete transformed into a magnificent space! Thanks to our Sundek dealer in Dallas, Texas (All Texas Decks) for capturing this footage on this April 2014 project. Enjoy!